A truly elegant coffee brewer designed with coffee aficionados in mind, the Bonavita BV1800 leaves no stone unturned when it comes to delivering faster action, improved stability and remarkable ease of use while also providing you with the best flavored coffee that money can buy. 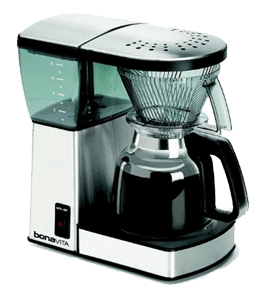 Delicious coffee can be prepared much faster and more conveniently with the powerful Bonavita BV1800 8-cup coffee maker, and you’ll find this drip coffee maker is also fine tuned to optimize saturation and contact time. Its performance is so good that make BV1800 one of the SCAA certified coffee makers. Unlike most conventional coffee brewers, the Bonavita 1800 can be used with great ease right from the very start. Its 1400-watt block heater doesn’t take long to kick into gear, and once it does, it will be able to heat up to 40 ounces of water (8 cups) at an ideal temperature of about 200 degrees. 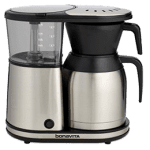 Like other award-winning Bonavita drip coffee maker products, the Bonavita BV1800 relies greatly on its sheer power, simple design and stability, but in this case, it’s also about consistency and well-chosen features. 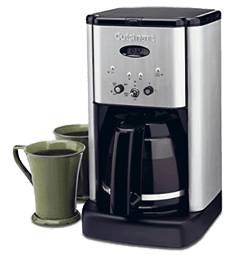 The coffee maker is capable of achieving an exceptional time of about 5-6 minutes to brew 8 cups of coffee, and the fresh, flavored coffee it is capable of brewing is made even enjoyable by a straightforward process that doesn’t require much of a learning curve. It is also worth mentioning that the coffee maker is fitted with a shower head that was built to provide optimal saturation, while the entire design of the brewer is geared toward high precision coffee ground and water contact, so that you can enjoy ideal flavor extraction as soon as the brewing process is completed. 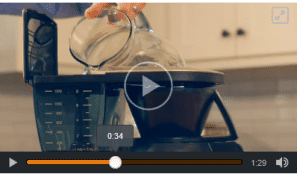 You’ll find you can set up the coffee maker in just a couple of minutes, and have it adjusted to stop automatically. Moreover, it’s 2 Hour Keep Warm feature will keep your coffee at an ideal temperature for up to a full 120 minutes, so you can enjoy it even if you sleep in or get home later than planned. Bonavita BV1800 review posts show that hundreds, and even thousands of past buyers are completely satisfied with the brewer’s performance. Some of its qualities that tend to stand out the most are its minimalistic, easy to understand design, fast performance, as well as the optimal flavor it offers. 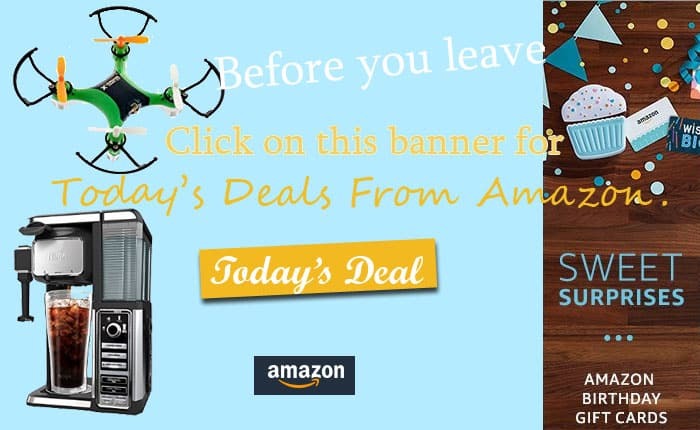 You can head on to amazon to read all the reviews and compare price. 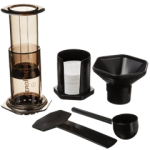 Also, many have commended the well-designed, durable Bonavita thermal carafe included in the package and the unique ability the brewer has to heat up quickly and maintain its constant temperature levels. One of the special qualities of the Bonavita BV1800 is that it’s one of the very few coffee makers certified for their quality level and performance. 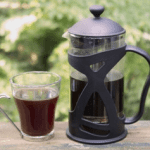 The coffee maker has been thoroughly evaluated by the Specialty Coffee Association of America (SCAA), its German-engineered brewing construction having been tested according to the association’s standards. The brewer passed the tests with flying colors, showing that Bonavita products are more than capable of offering the performance they are advertised for. You’ll find that you will have no difficulty starting up the Bonavita BV1800 and preparing your coffee right from the start, the reliable drip coffee brewer providing excellent quality for the money, even when compared with many of the other Bonavita coffee maker appliances available on the market today.